It is always fun to compare your work to others. Especially when you have a habit of doing things to current codes and applicable standards. Today we came across a problem seen all to often on constructions sites both old and new. It always seems that contractors become very lazy at this stage of the installation. 9 out of 10 times it appears that the installer just slaps some fire caulk around a penetration and calls it a day. Not realizing how important the fire caulk stage is, most people just leave it. 1. Cut a piece of EMT conduit long enough to penetrate the entire wall (both sides) and have the pipe stick out approximately 6 inches on each side. 2. 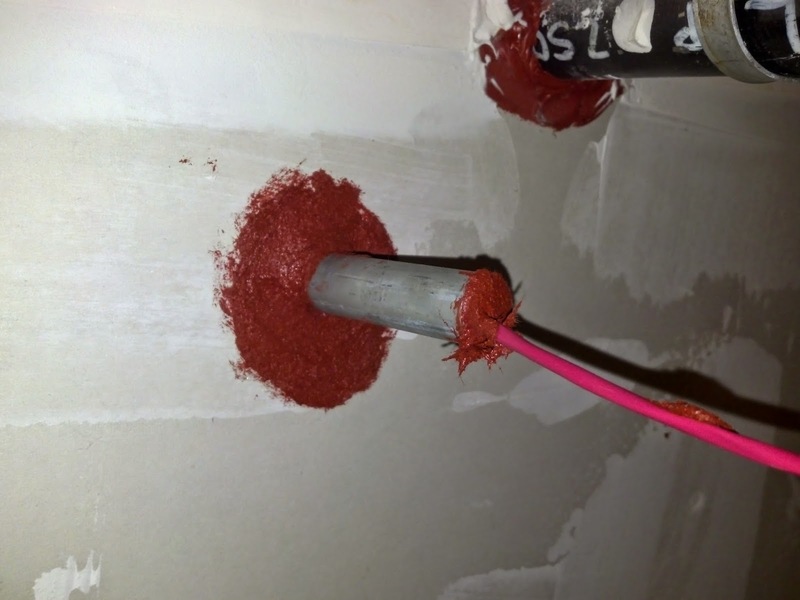 Pull your wires trough the EMT and then place the EMT through a hole in the fire rated wall. 3. Use mineral wool to pack the ends of the EMT. 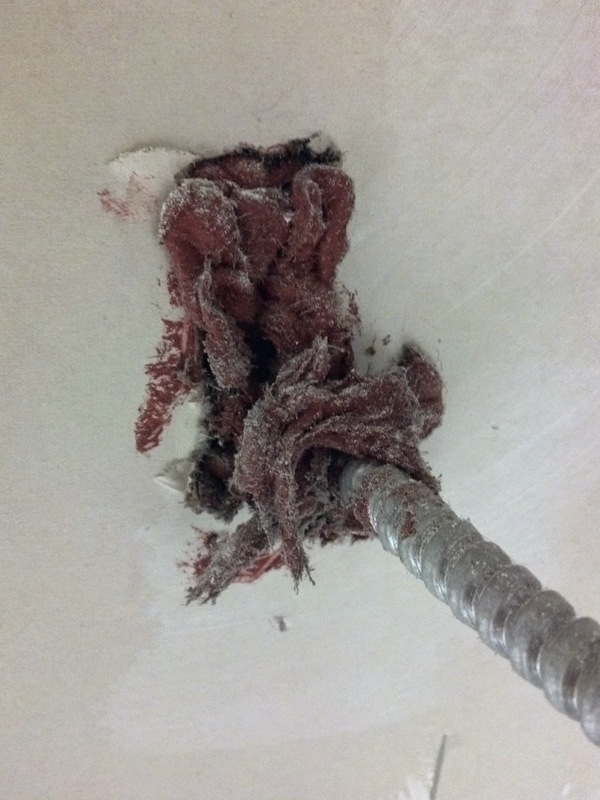 Make sure to wrap the mineral wool around the wires and center the wires within the EMT as much as possible. Now shove the mineral wool inside the conduit. 4. Fire caulk the ends of the EMT (over the mineral wool) 1" deep and have the fire caulk stick out of the conduit approximately 1/2" to 3/4". 5. Now use the fire caulk around the EMT and the actual fire rated wall. Make sure to get the fire caulk in 1" and at least 3/4" all around. 6. Make sure to do this on both sides.